This was a weekend 'o parties. They started as soon as school ended on Friday, with a work happy hour. 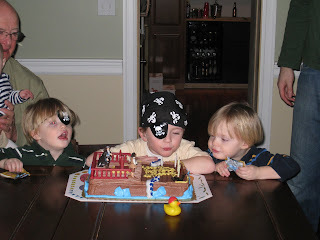 Then it was onto Tucker's 4th birthday party. Ahoy Matey!!! Saturday started with a librarian's conference, but the partying didn't end there! 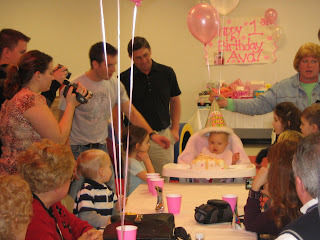 It was onto Ava's 1st birthday! 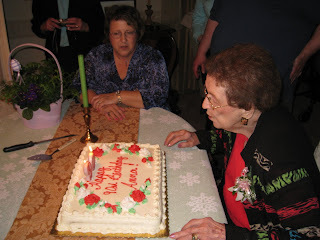 And then straight to Grandma's 90th birthday! 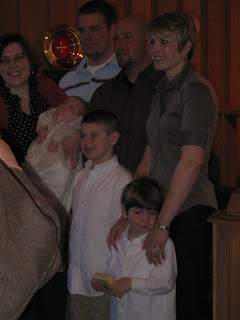 And we even managed to squeeze in Mackenzie's baptism on Sunday! It was nice to be with family and friends all weekend, but I'm a little partied out. Marc just left for the Sabres game and I have the rest of the night to relax all by myself. Ahhhh. That's my kind of week! Whoo hoo! My goodness!! What a busy party weekend. It was so good to see you at Ava's party, and we LOVE the little dress! !